Heeeeyyyyyy! Head on over to the DROIDART store, I've restocked EVERYTHING. All sizes, all styles. If there was something you were waiting for now is the time to grab it. There are also a couple of new tees in the store! Just for you guys! 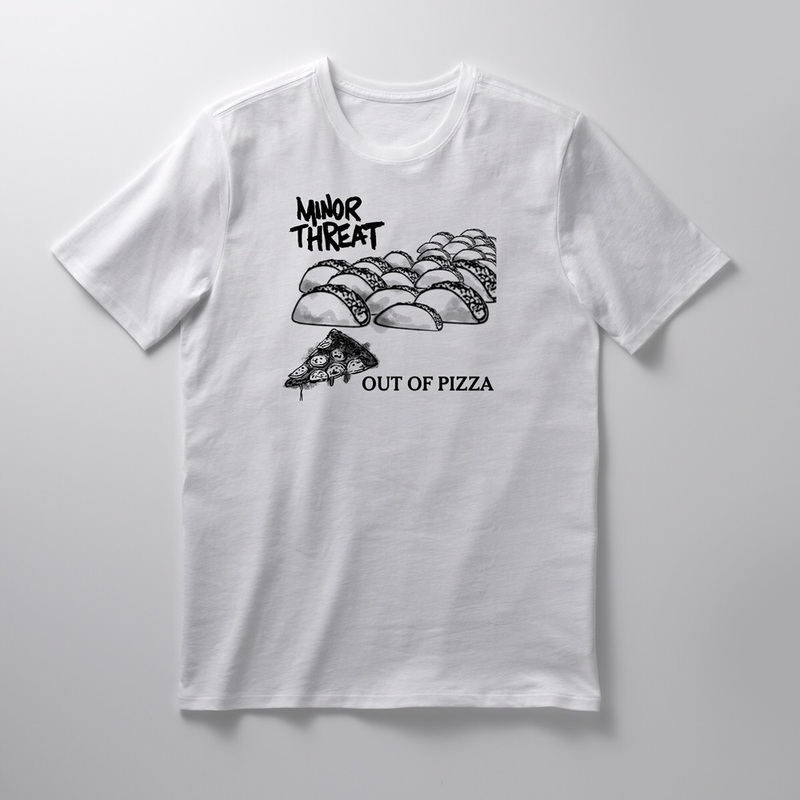 Check out the Out of Pizza tee inspired by the Minor Threat Out of Time album and the Pizza Youth tee inspired by the iconic Goo album. Don't be surprised if you get a little something extra in your package when you place an order. I printed up a bunch of mini pizzaalbum covers and they tend to find their way in to orders as a way of saying "Thanks for the Support!". If you follow me on Instagram, thanks! If not, you should! There is ANOTHER give away coming up. It doesn't involve pizza, but it is super cool. Spread the word and FOLLOW @THEDROID !! !